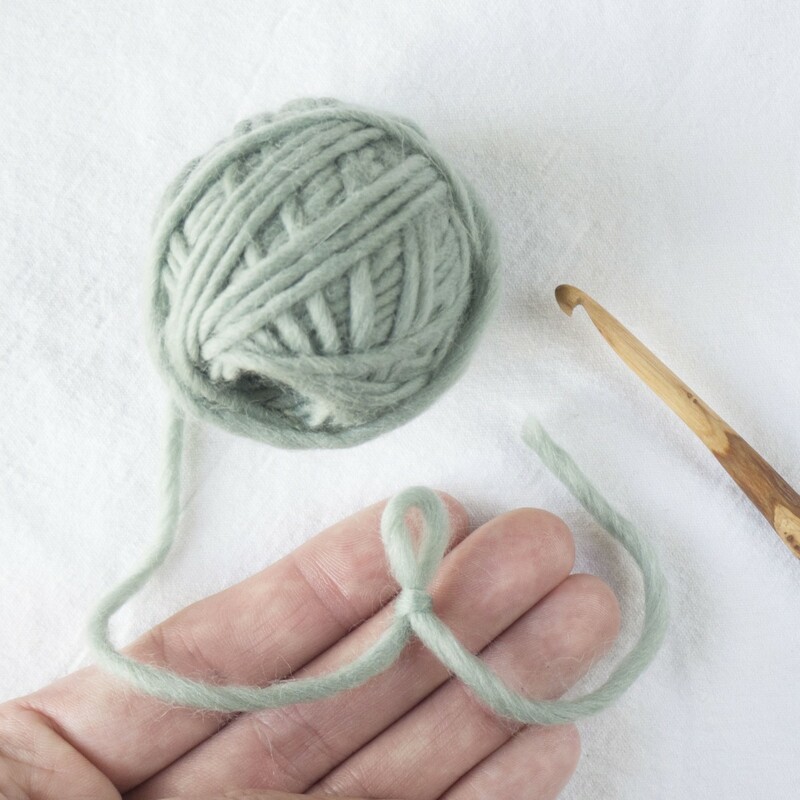 After selecting a beautiful yarn and procuring a hook the appropriate size, making a foundation chain is the first step to making anything with crochet. 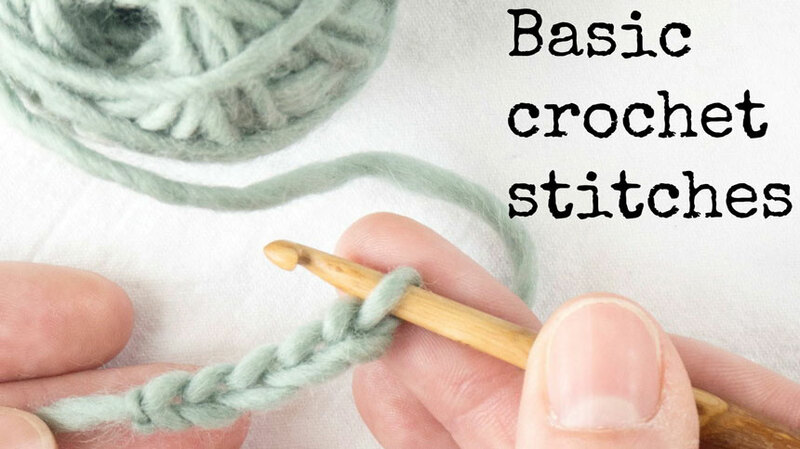 It is equivalent to the first row of bricks in a wall, on- or rather into which the next row of bricks, your first row of stitches will be added. 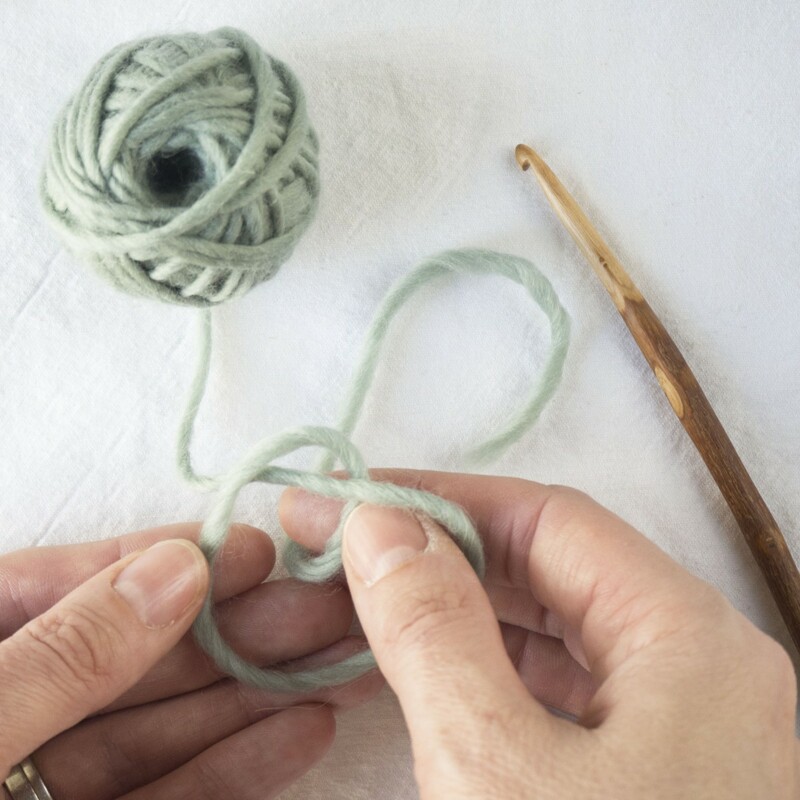 I find the process of making a chain immensely soothing and could happily use up an entire skein of yarn simply making these satisfying interlocking loops. 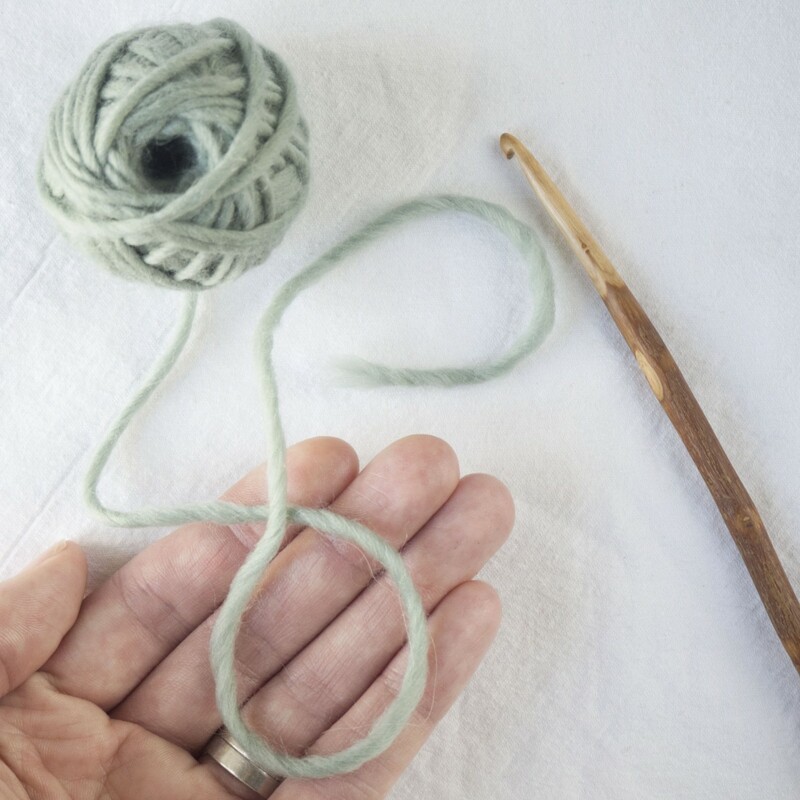 The aim with this first is to make, by means of the yarny loops, a sausage of yarn that resembles a plait or braid. Ideally the individual ‘links’ in the chain should be of approximately equal size but they are likely to be different in size for a little while if you are complete beginner. 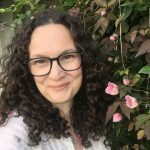 This is absolutely fine. Equality of woolly chain links will come as you learn to keep the tautness of your yarn consistent as you work. This is called the ‘tension’. 3. 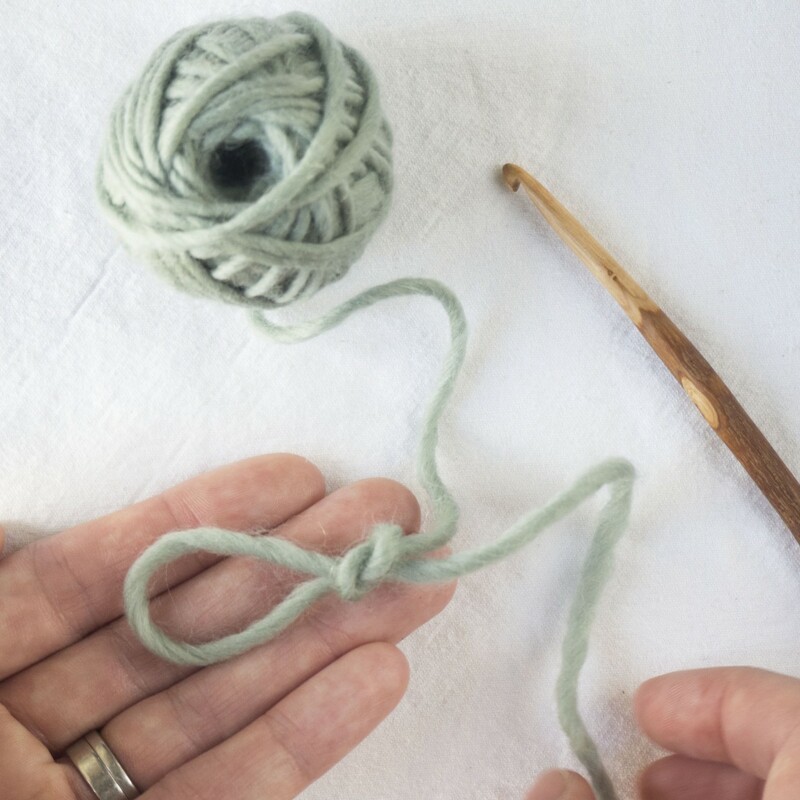 Pull that section of yarn through the loop while holding on the end. The loop will tighten. 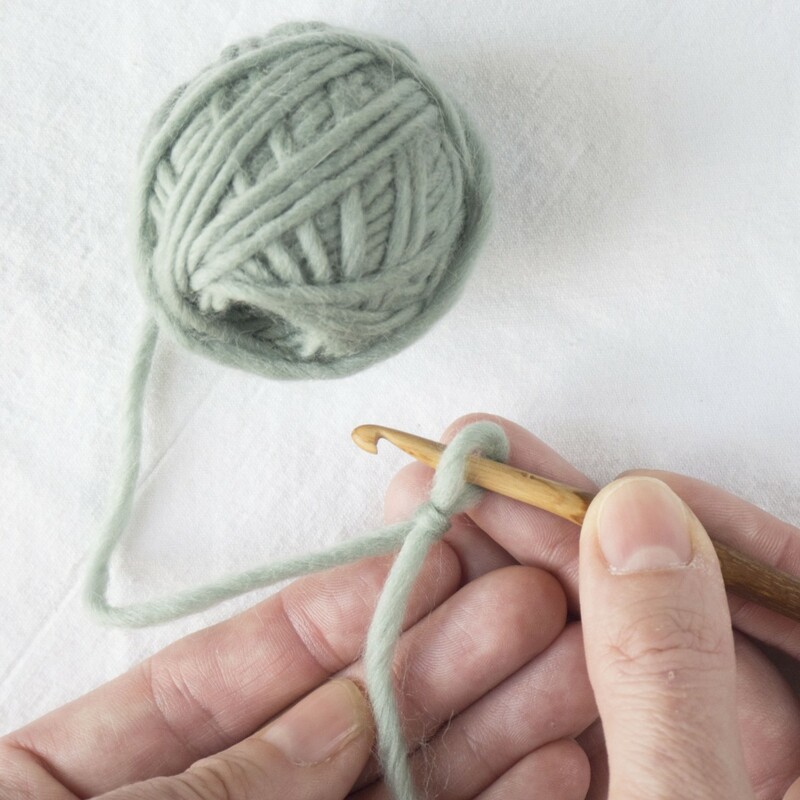 Hold your crochet hook in your right hand: I hold mine as though I’m holding a pencil. 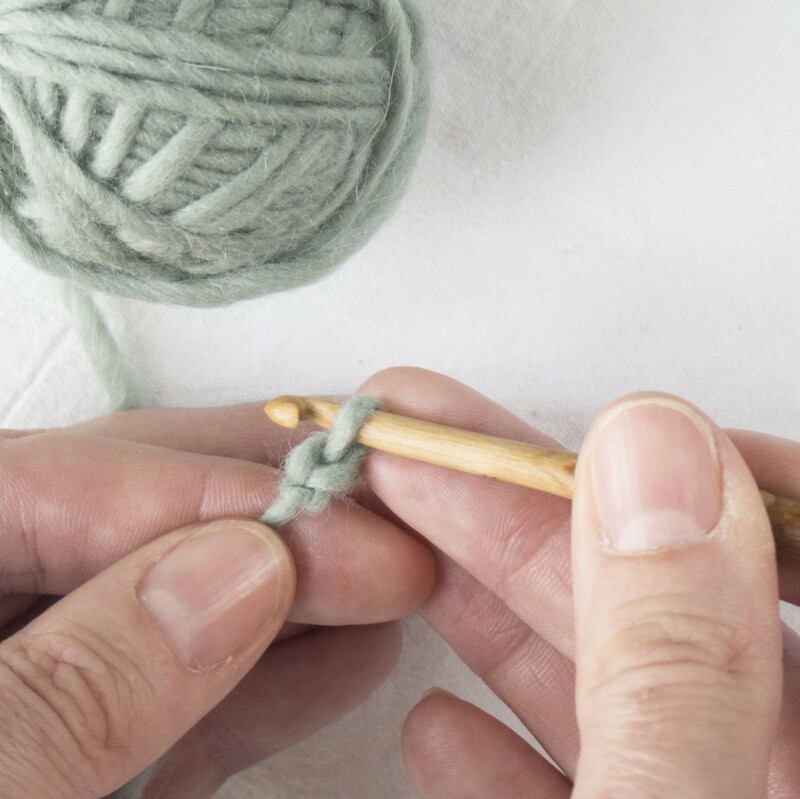 Hold the end of the yarn between the thumb and first finger of your left hand. 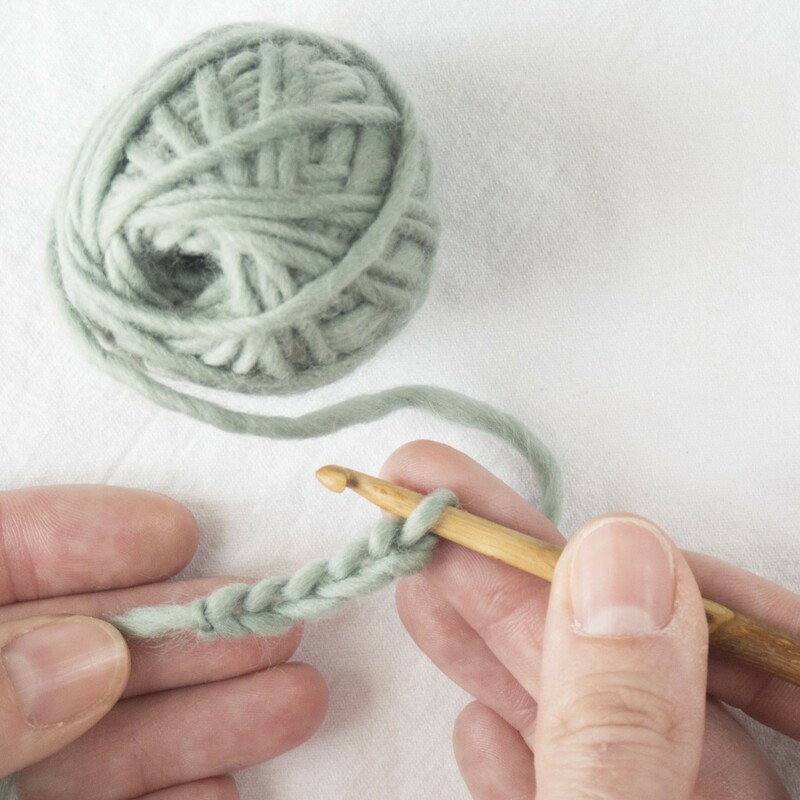 Around 8cm away from the slip knot, hold the yarn lightly between the third and fourth finger of your left hand. 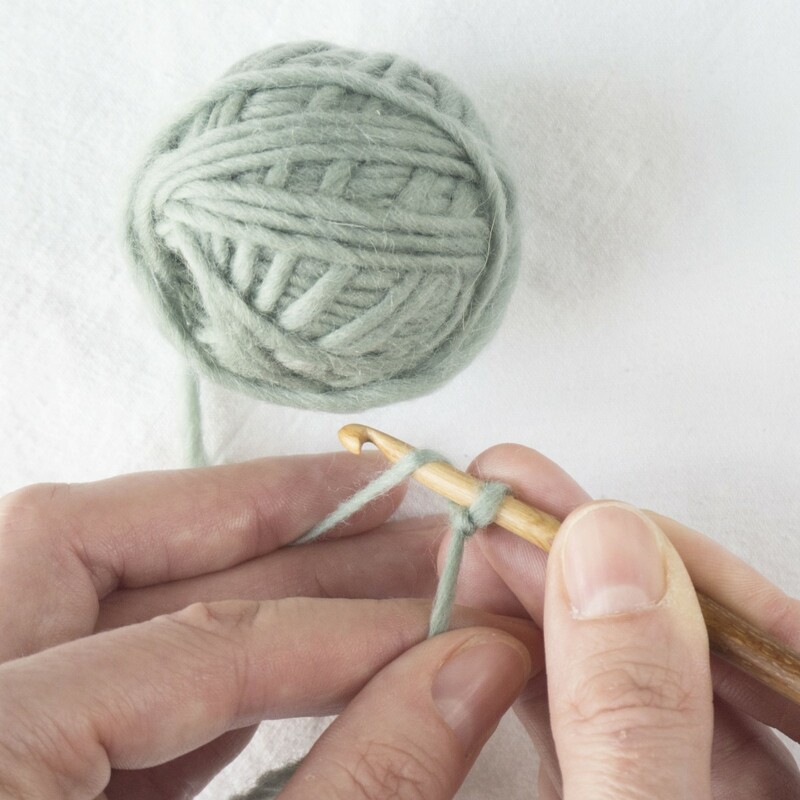 In this instance your third and fourth fingers are acting as your yarn feed in your little crocheting machine. 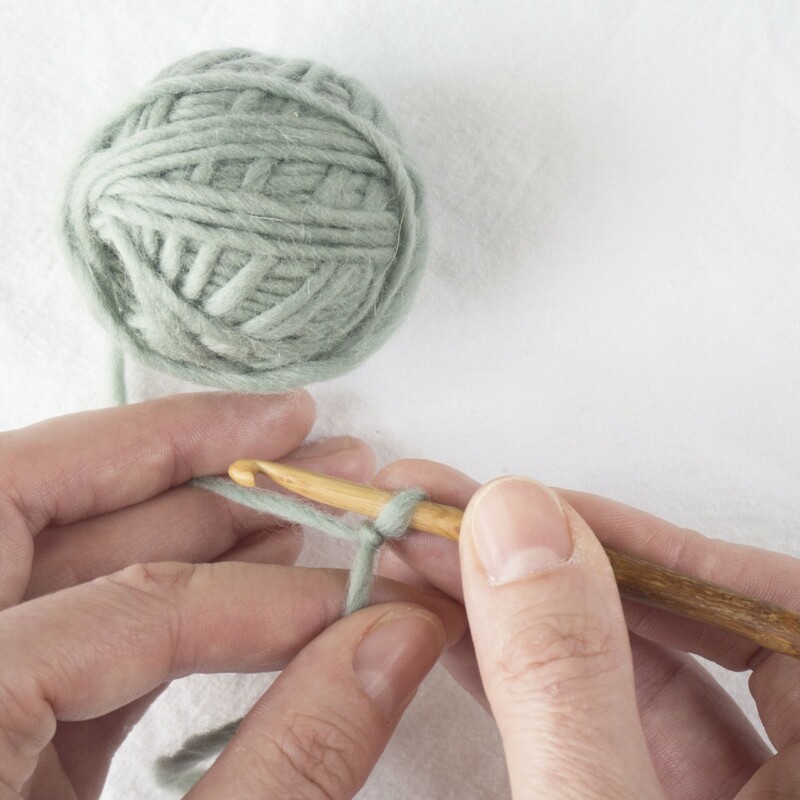 As you make your stitches allow the yarn to be drawn from your ball and to slip through your 3rd/4th fingers. 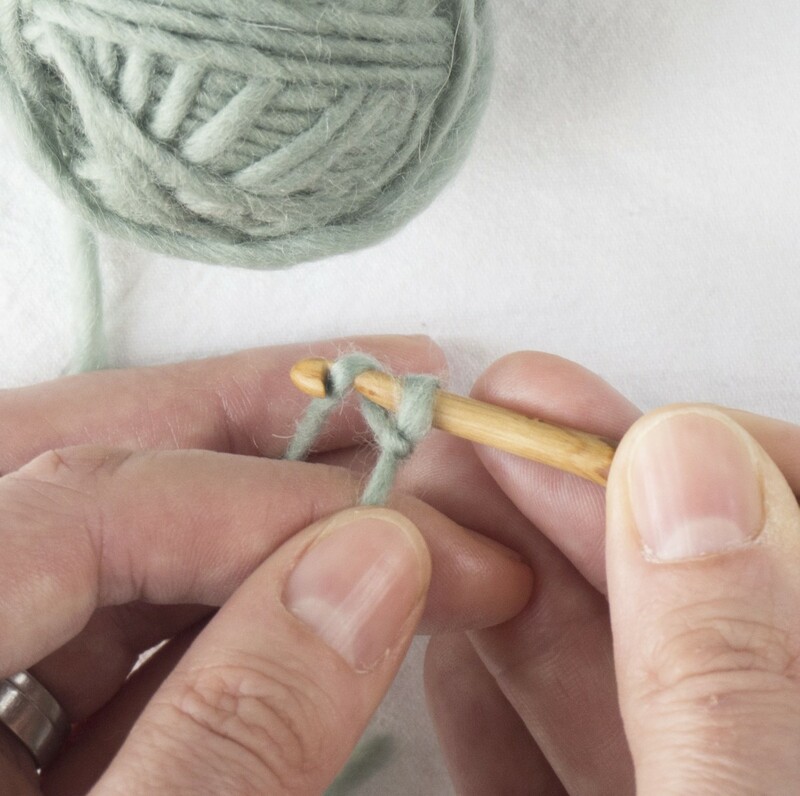 If you keep the tautness of the yarn between the latest stitch made and your 3rd/4th fingers consistent then this will help ensure consistent yarn tension and your stitches are more likely to be a predictable size. 3. Repeat this process as many times as you need to create a foundation chain of the correct length.